Are you looking for a way to lose weight fast? Take heart because millions of people are always on the lookout for a weight loss solution that works. In this quest, all manner of weight loss aids have been offered. One of these is drinking coffee. However, this approach is very controversial. While some people believe that caffeine can help in weight reduction, others can hear none of this. While there are many claims that caffeine can help to lose weight and prevent weight gain, there are no reliable studies to support these claims. Besides coffee, caffeine is present in other beverages such as tea, colas, energy drinks and in cocoa and chocolate products. It is also present in some medications and dietary supplements including those targeted at the weight loss market. But how does coffee help you lose weight? Caffeine may increase calorie burning by stimulating thermal genesis – production and use of heat through increased digestion of food. Consumption of caffeine may suppress feeling hungry and the desire to eat for some time. However, the studies upon which these claims have been made were not reliable. Many were conducted on animals and the findings could not be trusted to apply to humans. 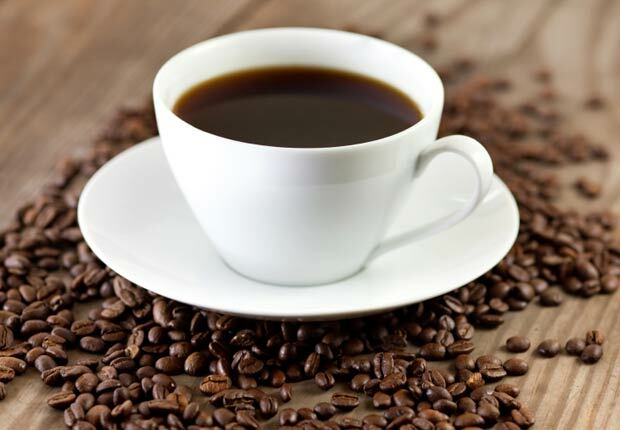 Other studies found that even decaffeinated coffee has similar results as caffeine. This suggested that compounds in coffee other than caffeine could be responsible for the slight weight reduction. You should therefore take caution about relying on caffeine for weight loss. Still, drinking moderate amounts of caffeine beverages containing up to 400 mg of caffeine daily is safe for healthy adults. However, taking excessive amounts of caffeine can lead to adverse effects like nausea, high blood pressure, insomnia and nervousness. Besides, some caffeine-rich products may also contain high amounts of sugar and fat which could lead to weight gain instead of weight loss. If you want to give coffee a try, here is how to drink it for best results. Even though the answer to the question "does coffee help you lose weight" is not definitive, to benefit from any weight loss benefits of caffeine, spread out the coffee that you take in a day. This way, you don’t end up drinking unhealthy amounts of coffee. In addition, the coffee will boost your energy for work or exercise while suppressing cravings for snacks. For instance, if you can safely take four cups of coffee in a day, have one in the morning, one around lunch time, another in the mid afternoon and the fourth at dinner time. In case you plan to take more coffee, substitute some of the cups of full caffeine coffee for decaffeinated coffee. This way you can drink up to eight cups in a day which can help you lose weight more effectively. Read product labels carefully to ensure that you get what you want, for instance decaffeinated or half-caff coffee and the quantity of caffeine in one cup. The labels will also help you find out how much cups you can take safely. Constitute your DIY half-caff through mixing a half cup each of regular and decaf coffee. You can achieve similar results by brewing a cup of coffee using half a cup of coffee and half a cup of hot water. For those using a product like Keurig, use one K-cup to make two cups of coffee by leaving the K-cup in the Keurig. While coffee is slightly diuretic, it doesn’t cause dehydration. However, when you drink water with your coffee, you end up feeling full for longer so that you are less tempted to keep snacking. Besides, because of the increased water intake, you can end up drinking less coffee. For a man, a daily intake of three liters of water is recommended, while 2.2 liters is recommended for a woman. Water hydrates your body and may be what you need even when you feel hungry. Does coffee help you lose weight? Probably yes. Because coffee can stimulate thermalgenesis (generation of heat and energy through digestion of food), when you combine it with exercise, you end up burning more calories and even fat. A workout, you may help your body burn more calories and fat. For best workout results, take coffee containing about 200milligrams of caffeine before working out. You can get this from a small regular cup of coffee. Although specialty coffees have a great taste, they may contain high amounts of calories, sugar and fat, which may end up adding onto your weight. Additionally, avoid the addition of sugar or cream to your cup of coffee. By taking time to read the label you will end up purchasing products that meet your weight loss needs. Note that when you want to lose weight, you can’t afford to any unnecessary additional calorie. On its own, a coffee cup contains only two calories. However, if you add sugar or cream, the number of calories will increase. In case you are unable to take black coffee on its own, use skimmed milk and calorie-free sweeteners. Note that a tablespoon of heavy whipping cream contains 52 calories, and a tablespoon of half-and-half contains 20 calories. This is in addition to fat. A tablespoon of sugar contains 49 calories. Therefore adding even one tablespoon can significantly set you back on your journey to losing weight. Do not add butter to your coffee. Note that a tablespoon contains 102 calories besides the 12 gm of fat. These can make your dream of losing weight impossible. For a rich flavor, opt for nut milk such as coconut. Go for unsweetened milk or creamers and avoid flavored versions which usually contain additives including sugar. In case you find the taste of black coffee too strong, try iced coffee which is milder. Add your favorite flavors such as plain cacao, cinnamon and ginger. You may also add some honey for a better tasting cup of coffee.